Course Objective: Working Professionals & B.Pharm/D.Pharm/ B.Sc/ Any graduates or those who are in 3rd / final year of those courses, who want to make career in biopharmaceutical marketing, business development and regulatory affairs, can pursue the course. Course Description:This online course – KPE’s Certificate Program in Biologic (Biotech & Biosimilar) Regulation & Strategic Management training course utilizes interactive learning tools to guide each participant through the steps of the biotech and biosimilar drugs development process and regulation. The course is designed to challenge users to apply what they have learned through the use of interactive exercises, reflection questions, expert live chat and a final assessment at the end of the course. 1. Comprehensive study material covering all important aspects of Biosimilar regulation. 2. 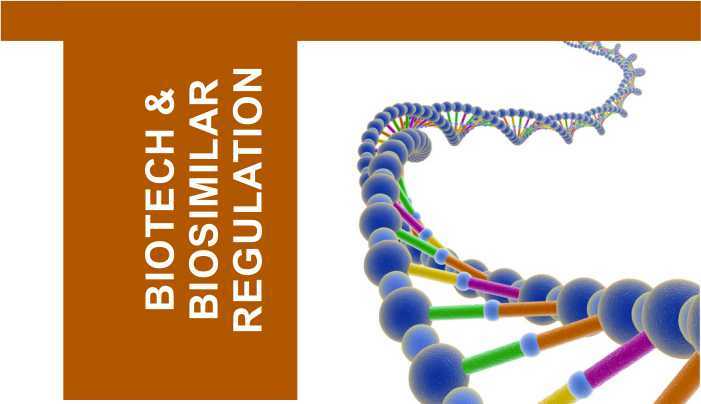 Understanding/ Decision Making/ Strategy Creation in the field of Biosimilar regulation. 3. Live Pharma Case Study – File for easy understanding in biologics-biosimilar regulations and its implications. 5. Certificate will be issued at the end of the course. 1. Printable Module can be downloaded by visiting to your dashboard. Other than books, you will also get the online modules – electures, case studies etc. which you can access by login with your access credentials. Overview of the development of a biotech product – clarify the difference between synthetic drugs, biologics and biotech products . An examination of preclinical and clinical research designs. Emphasis is on identifying and addressing challenges associated with elements of good laboratory and clinical practice and qualifying and managing a laboratory for a clinical trial. Discussion covers best practices for planning research and collecting, analyzing, and reporting data from drug/device development studies. Understand the need for using a range of analytical methods in the characterization of biotech product. An in-depth study of the product life cycle for biopharmaceuticals. Focus is on the various stages within the life cycle from conceptualization of a product pipeline in research and development through postmarket surveillance and production. Topics include regulatory submission, approval, production, and the postmarket environment for both drugs and devices. Challenges surrounding the approval and naming of follow-on biologics are addressed. Discussion also covers combination medicines, the stages of a drug pipeline and risk assessment at each stage, and the decreasing productivity of the drug pipeline. The role of a contract research organization in testing and approval is explained, and the nature of the support services they provide to the biotechnology and devices industry is explored. Topics include international biotechnology issues, global harmonization efforts, and the cultural impact of biotechnologies. Discussion also covers domestic and International business considerations and international regulatory requirements. A capstone study of regulatory affairs related to the biotechnology industry that integrates knowledge and skills gained from previous study. Introduction to Global biopharmaceutical Industry. Overview of General Regulation. Biotech Drugs Classification. Important classes. Overview of patent in biotech industry. Introduction to Biosimilar. Meaning of Biosimilar vs. Follow on biologics. Difference between biosimilar and generic drugs. Key important issues in Biotech and biosimilar product manufacturing. GMP requirements in biotech industry. General approval process of biosimilar products. Lecture 34Strategic Discussion: PreIND, EOP1, EOP2 - What to expect !